The Sturtevant Agency, an Albuquerque area firm offering asset protection services and financial planning assistance to communities in and around Bernalillo County, is teaming up with Special Olympics New Mexico in a charity event that promises to raise local support for special needs sports. 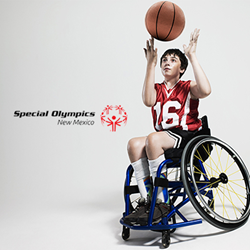 Special Olympics New Mexico works year-round to provide athletic competitions and sports training programs for children and adults of all ability levels. SONM participants enjoy the opportunity to build self-confidence, improve life skills, develop physical aptitudes and fitness, and build lasting relationships with peers and mentors throughout central New Mexico. “Special Olympics New Mexico works with more than 3,000 special needs athletes in our area, and our goal during this charity event is to help provide the resources they need to continue these programs,” says founder and chief executive of Sturtevant Agency, Allen Sturtevant. The Sturtevant team is galvanizing local support for SONM in the Albuquerque region by connecting with civic leaders, business owners, and families throughout the area over email and social media platforms. Future plans to promote the event will include a full length story on the SONM charity drive soon to be released in an upcoming edition of the Sturtevant Agency webzine “Our Hometown”: http://www.sturtevantagency.com/Our-Hometown-Magazine_39. Special Olympics New Mexico marks the third New Mexico charity to be assisted by the Sturtevant Agency since the firm became an affiliate of the “Agents of Change” national charity support initiative. Sturtevant and his team plan to continue assisting local charitable organization on a bimonthly basis going forward. For those who would like to take action and join the Sturtevant Agency by being part of the charity event to provide support to Special Olympics New Mexico is invited to find out more by following this link: http://www.sturtevantagency.com/Supporting-Special-Olympics-Athletes--_14_community_cause. Future charity events sponsored by the Sturtevant Agency team will be detailed on the agency’s Community Causes page: http://www.sturtevantagency.com/community-cause. As a Personal Finance Representative in Albuquerque, agency owner Allen Sturtevant knows many local families. His knowledge and understanding of the people in his community ensures that clients of Sturtevant Agency are provided with an outstanding level of service. Allen and his team look forward to helping families protect the things that are most important - family, home, car and more. Sturtevant Agency also offers clients a preparation strategy for achieving their financial goals. To contact an expert at Sturtevant Agency, visit http://www.sturtevantagency.com/ or call (505) 344-5877.